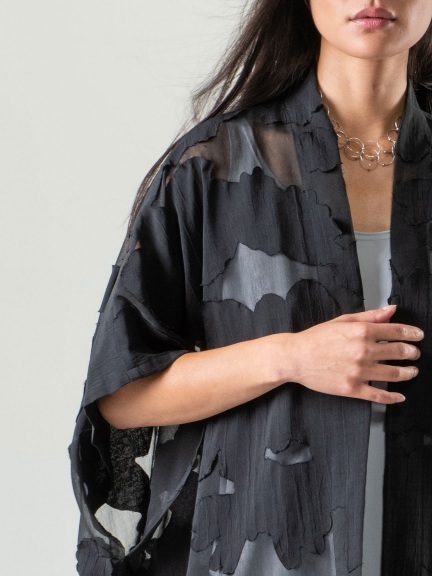 A beautiful and deceptively substantial viscose/polyester jacquard burnout open kimono has cropped dolman sleeves, on-seam pockets and a longer back hemline. 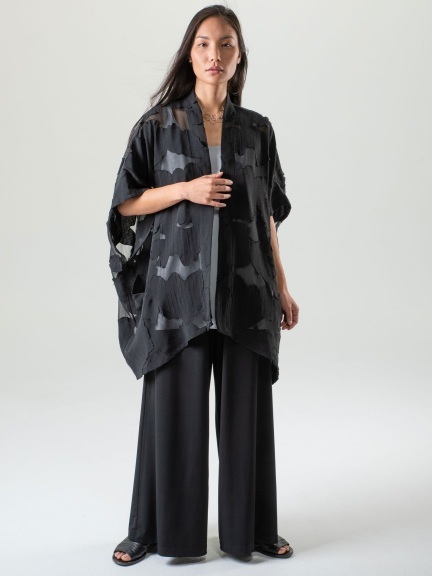 The Stingray Jacket can dress up an outfit with ease and fluid femininity. Made in Los Angeles.